Vietnam: Can one assessment meet the needs of all stakeholders? News of this achievement has received a great deal of media attention, however in an effort to learn more about recent developments in the Vietnamese education system today we reached out to Duy Pham, former Deputy Director of the Center of Educational Measurement, of the Institute for Education Quality Assurance, at Vietnam National University, and curent doctoral student at the University of Massachusetts Amherst. 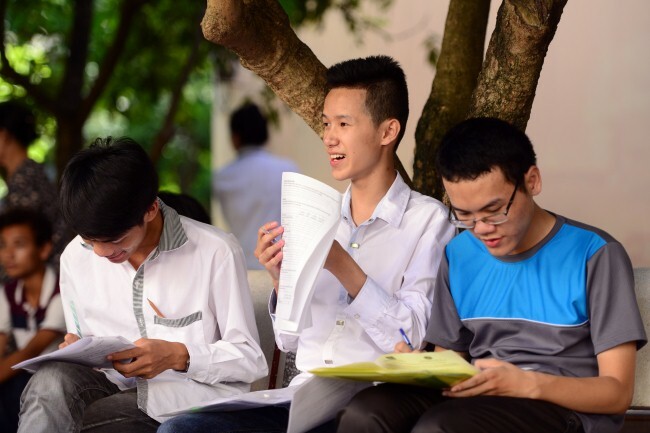 Pham explained that while the PISA exam has caught the attention of an international audience, the people of Vietnam have been wrapped up in a dynamic debate around high school graduation exams and university entrance exams. As the new exam was administered in the first week of July, there is no consensus on the new process. While the Ministry of Education has expressed satisfaction with the new system, educators, policymakers, and researchers are concerned that the new exams might be too difficult for the purposes of high school graduation, yet too easy for the purposes of university entrance. The question is how to find one assessment that meets the needs of all students and institutions. Also, the question of pressure and fairness remains. Students can only take the new exam in one of the approximately 30 testing centers. These testing centers are located in big cities, which means that students from mountainous and rural areas need to travel with a parent or guardian and find accommodations for the duration of the exam. Under the old system, students could at least take the high school graduation exam in their own school settings. This entry was posted in About K-12 International Education News and tagged Assessment, educational access, high school, university, vietnam. Bookmark the permalink.